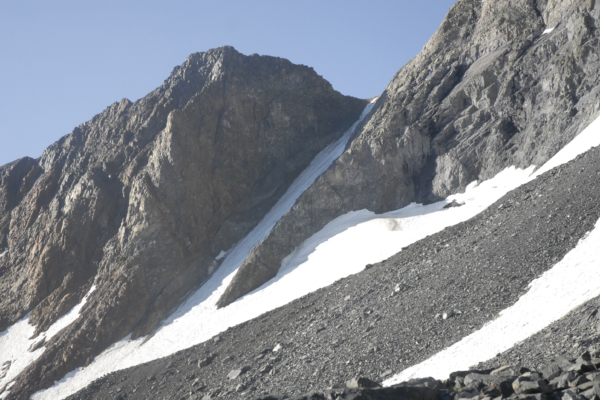 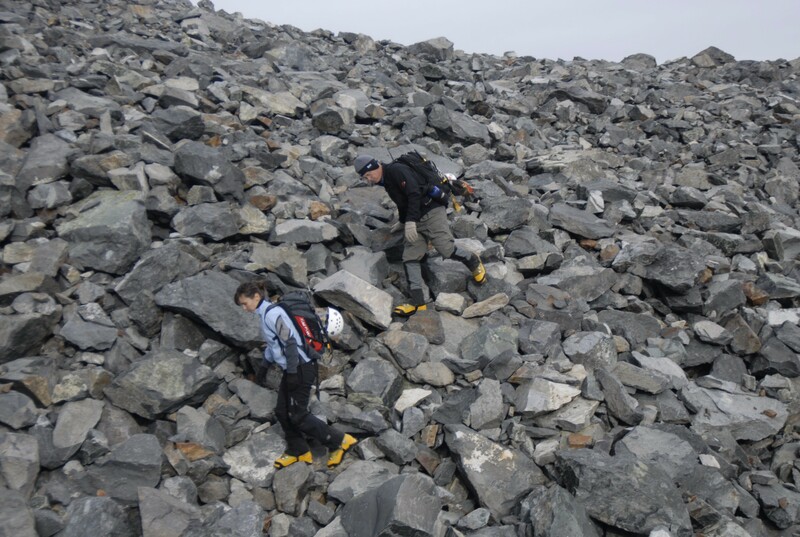 The Dana Couloir extends over 1200 feet above the Dana Glacier. 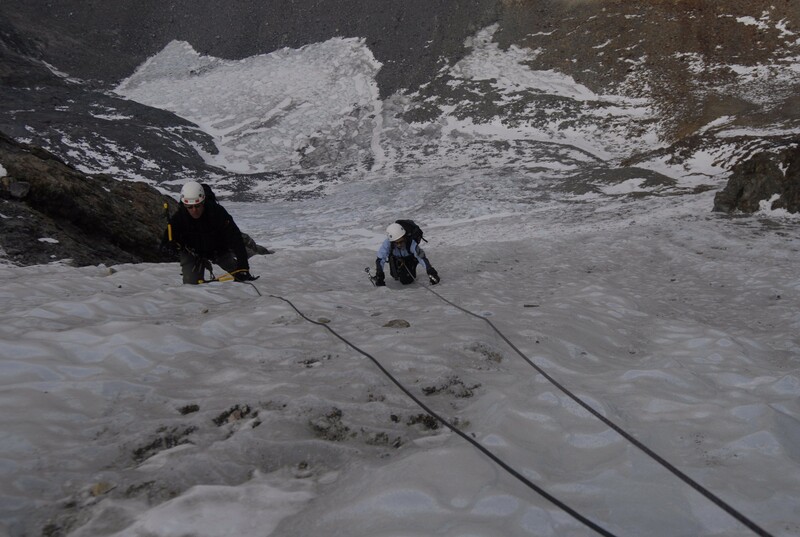 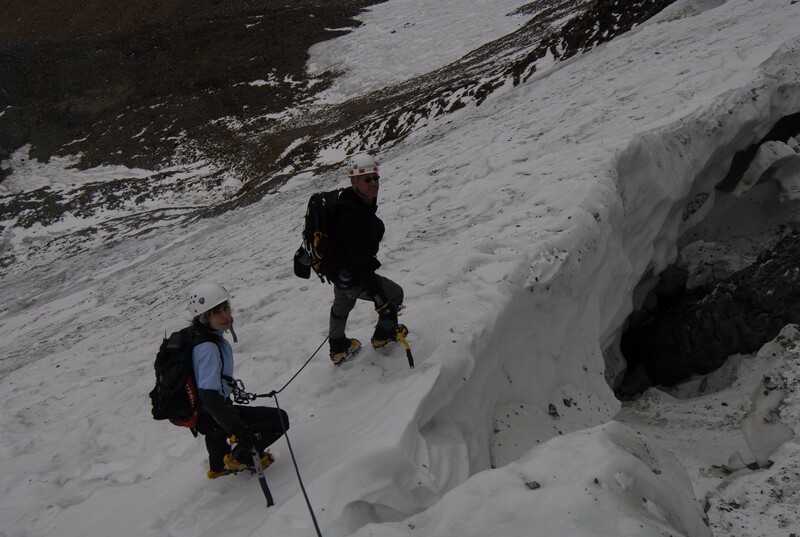 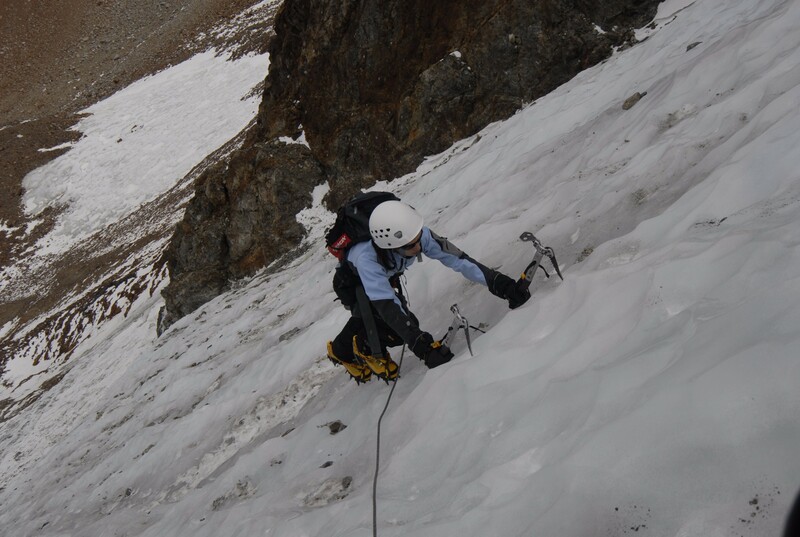 The chute is sustained 40-45 degrees offering 6-8 pitches of roped ice climbing. 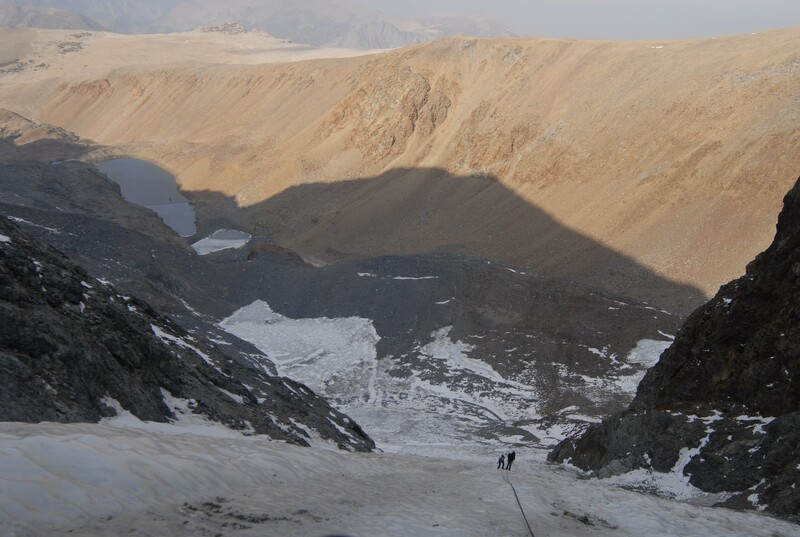 A short hike above the couloir leads to a spectacular summit with views of Mono Lake to the east, and Tuolumne Meadows and Yosemite Valley to the west.